Sarah Beth Durst | YA? Why Not? Pearl is your typical sixteen-year-old vampire. You know the type-a bloodthirsty predator of the night. That is, until she is stabbed through the heart by the horn of a sparkly unicorn. Seriously. A unicorn. Of course, no one in her Family (yes, with a capital F) believes her. It’s surprising that she survives the attack. It’s a complete shock to discover that she can survive exposure to the sun. This discovery comes just in time. The Family is responsible for providing a feast for the Vampire King of New England and Pearl is their meal ticket. They ship her off to high school with one assignment: round up a feast fit for a king! I thoroughly enjoyed this snarky little book! I loved watching Pearl learn the ins and outs of high school and I totally appreciated all the John Hughes references. Her observations about social hierarchy are spot-on. While the book is mostly light and humorous, there is some meat to it as Pearl questions the ethics of what happened to her. It’s pretty interesting. This was an unexpected gem. If you need a vampire fix, this book is for you. If you like a sassy heroine, this book is for you. If you like your high school romances to have a unicorn, this book is for you. Want more like this? Try Hex Hall by Rachel Hawkins, Paranormalcy by Kiersten White and Hold Me Closer, Necromancer by Lish McBride. Thank you Emily, for the recommendation! It turns out that I DO like nonfiction. I DO like historical fiction. And everyone who *loves* Jellicoe Road is right; it IS amazing. As of right this minute I still have 2 books to finish in order to make my 200 books goal. This is not a problem! 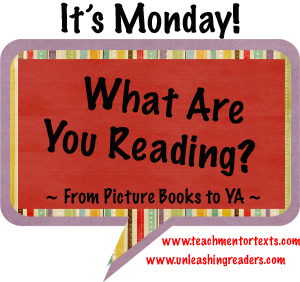 Let’s check in with Book Journey and Teach Mentor Texts to see what everyone else is reading! I adore Jacky Faber and this latest adventure did not disappoint. This latest installment, Boston Jacky, finds Miss Faber back on familiar turf and of course, back in a spot of trouble. I also finished Drink, Slay, Love by Sarah Beth Durst. This was recommended to me by a teen reader, and she did not lead me astray. This was a fun, clever book with plenty of snark I LOVE snark), vampires, and even a unicorn. 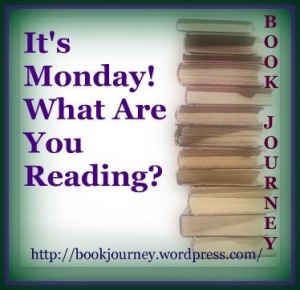 Finally, I listened to The All-Girl Filling Station’s Last Reunion by Fannie Flagg. This was a perfect feel-good listen for the busy end of the year. Southern charm and WWII history meet in this latest offering from Flagg. My listening is all about sequels! I am still working on A Breath of Frost. It’s really long! At the half-way mark things are starting to pick up. I am also going to start the fifth volume of the Sweet Tooth series by Jeff Lemire. I am excited to see how things end. I expect to get more answers and have things all set up for a big finale. Finally, I am skimming my way through 52 Small Changes: One Year to a Happier, Healthier You by Brett Blumenthal. I am really excited to start A Stranger Thing, the sequel to Mothership, by Martin Leicht. I am also going to give The Coal Elf by Maria DeVivo a shot. This came recommended by a teen reader and in the spirit of trying new things I loaded it onto my Nook.